"Tree? 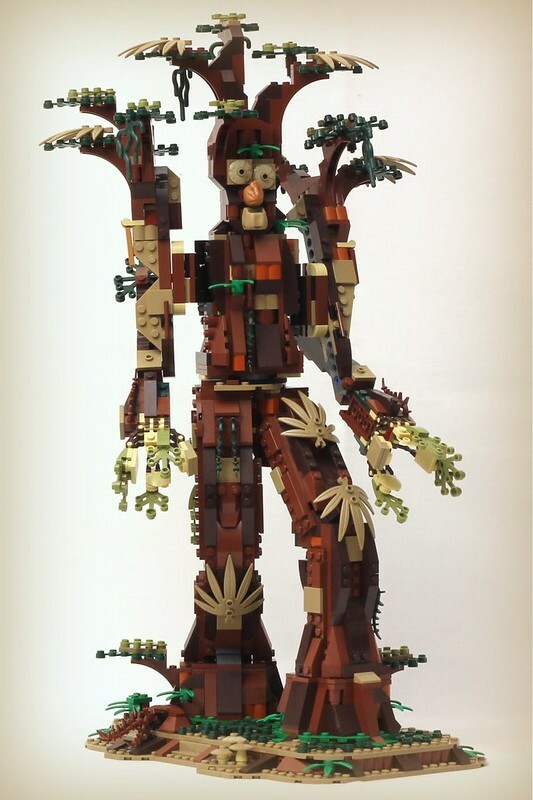 I Am No Tree"
When I first looked at the parts selection for LEGO Star Wars 10236 Ewok Village I thought "you could build a pretty big tree with this". But when builder JK Brickworks saw the selection he thought he could build a pretty big Ent with it, and did just that. This is an alternate model for the set, and it's pretty impressive. The face is a little goofy for my taste, but overall it's pretty awesome. There's also a video, LDD model and instructions on his website, check it out! Obama Is A LEGO Fan!